Lipotoxicity, an accumulation of intracellular lipid metabolites, has been proposed as an important pathogenic mechanism contributing to kidney dysfunction in the context of metabolic disease. Palmitic acid, a predominant lipid derivative, can cause lipoapoptosis and the release of inflammatory extracellular vesicles (EVs) in hepatocytes, but the effect of lipids on EV production in chronic kidney disease remains vaguely explored. This study was aimed to investigate whether palmitic acid would stimulate EV release from renal proximal tubular epithelial cells. 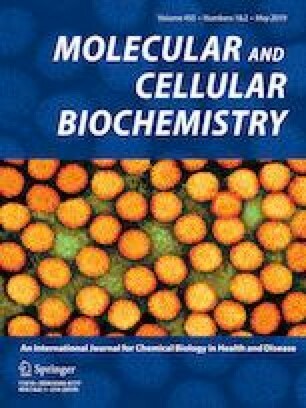 Human and rat proximal tubular epithelial cells, HK-2 and NRK-52E, were incubated with 1% bovine serum albumin (BSA), BSA-conjugated palmitic acid (PA), and BSA-conjugated oleic acid (OA) for 24–48 h. The EVs released into conditioned media were isolated by ultracentrifugation and quantified by nanoparticle-tracking analysis (NTA). According to NTA, the size distribution of EVs was 30–150 nm with similar mode sizes in all experimental groups. Moreover, BSA-induced EV release was significantly enhanced in the presence of PA, whereas EV release was not altered by the addition of OA. In NRK-52E cells, PA-enhanced EV release was associated with an induction of cell apoptosis reflected by an increase in cleaved caspase-3 protein by Western blot and Annexin V positive cells analyzed by flow cytometry. Additionally, confocal microscopy confirmed the uptake of lipid-induced EVs by recipient renal proximal tubular cells. Collectively, our results indicate that PA stimulates EV release from cultured proximal tubular epithelial cells. Thus, extended characterization of lipid-induced EVs may constitute new signaling paradigms contributing to chronic kidney disease pathology. This work was supported by the NIH SC1DK112151, NIH 5T32HL103104-07, NIH/NCRR/RCMI 8G12MD007602 and 8U54MD007588.